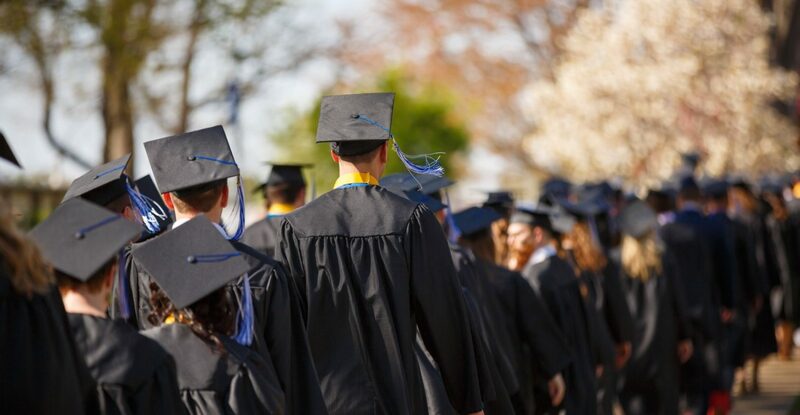 WASHINGTON – A groundbreaking new study from Philadelphia-based consulting firm Econsult Solutions, Inc. analyzes the significant economic impact of Christian higher education in the United States. Commissioned by the Council for Christian Colleges & Universities (CCCU), the study calculates the impact on the national economy of its 142 Christian colleges and universities across the country, collectively educating 445,000 students, employing 72,000 faculty and staff, and serving 3.5 million alumni around the world. The study finds that through their operations, capital investments and additional alumni earning power, these institutions generate more than $60 billion in economic impact each year (equivalent to $166 million generated per day for the U.S. economy). • CCCU institutions are responsible for more than $60 billion in economic impact each year. • For every $1 in federal grant money a student receives, CCCU institutions provide $5 in aid to that student through grants and schol­arships. • The student loan default rate for graduates from CCCU institutions (6.3%) is nearly half the national average (11.5%). • Even though they are tax exempt, CCCU institutions still generate $9.7 billion in federal tax revenue each year. For every $1 in federal grant money a student receives, CCCU institutions generate more than $20 in federal tax revenue. • 1 in 3 CCCU students are first-generation college students. • 50% of CCCU students come from families that make less than $50,000 per year. • While approximately one in four college students across the country volunteer, more than one in three CCCU students participate in community service while enrolled. CCCU students perform an estimated 5.4 million community service hours per year.